We all could use a little more time during the day right? Unfortunately, 24 hours each day is all we get…but one thing we CAN do is learn how to use that time more effectively. It’s amazing how some people can get incredible amounts of work done in a day…while others struggle to just accomplish one major task. In this article, we are going to go over some simple tweaks you can make to increase your energy levels and productivity. If you have 10 campaigns running in 10 different niches…it makes sense to focus your efforts on the 1 or 2 campaigns making you the most money. No point wasting your time or money backlinking websites or writing new articles for a campaign that is dead in the matter. Concentrate your energy and resources on the proven winners! Everyone has a specific range of hours where they are most productive. Figure out which hours you work best during, and make sure you are spending that time on the most important tasks that will help you move forward in your business. Studies have shown that multitasking can cause a decrease in productivity of up to 40%. While multitasking might make you feel like you are getting more done, the reality is that you probably aren’t getting much done at all. Constantly switching between tasks is far less efficient than just focusing on one to completion. Once you have started to make some money, it’s time to evaluate your business and determine what tasks can easily be outsourced. For example, If you are a good writer, maybe you would prefer to focus on writing the content for your websites and pay someone else to do the time-consuming backlinking for your SEO. On the other hand, if writing content is taking up too much of your time…you might want to consider outsourcing this part of your business to someone else. Outsourcing the tasks that are too time-consuming or that you are simply struggling with… will allow you to keep moving forward and free up time for other things you need to work on. One of the best ways to get more work done is to have more energy to do so. Now this doesn’t mean I want you to go out and buy a bunch of red bulls to chug down! While a little caffeine always helps, relying on a caffeine high to get work done isn’t the best long-term approach. 1. Sleep – Getting enough sleep should always be a priority. Recent studies have shown that most adults need about 7-8 hours of sleep. Your energy levels, ability to focus, and productivity in general all decline if you aren’t properly rested. 2. Exercise – It’s important to take care of your body… and exercise is a great way to take a much-needed break from work during the day. 3. Power Naps – While not for everyone, power naps are another good way to take a break from work and “recharge” during the day. This can also help you catch up on some much needed sleep if you didn’t get enough the previous night. 4. Healthy Diet – I don’t want to get too much into this since I’m definitely not an expert on the subject. However, just making an effort to clean up your diet a bit by eating healthier in general can really help increase energy and focus. 5. Take Regular Breaks – Most of us don’t work best trying to remain productive for long periods of time. One strategy that works great for me is to work for 25 minutes at a time while taking a 5 minute break in between. Spend some time and analyze how you are spending your day. What is your daily routine like? Take note of what you are spending most of your energy on. What can be outsourced? What can be eliminated? Try implementing even just a few of the suggestions mentioned above. You might be surprised how much more work you end up getting done! Now that you are ready to get some serious work done, let us help you get started by giving you 7 STARVING crowd niches. OK, this was a pretty awesome post. The 80/20 rule hits me square between the eyes. I build websites and get then to rank, but then I just can’t let go of then when it turns out they are not producing any money. After reading this post, I went back and checked and sure enough out of my 15 blogs 3 are making money…go figure. I guess it is time to dump some blogs. I followed a link from Keenanhandy.com over to your site. As I read your content off your home page it occurs to me that I want to start inserting links when I compose my blog posts. Your pages are long, and appear to be quite useful. 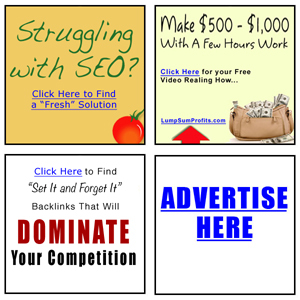 In particular I’m eager to get into your specific suggestions for keyword marketing. Personally, I’m focused at the moment on getting comments on my blog. I think Mailchimp Social is what I’ll be using. I read through your post and you make some decent points, I do however take issue with Outsourcing. Once you start to outsource you begin to lose control and it comes at a cost? Education is also key, read the Real Reviews about the Scammers. The keys are to take good care of the mind and body, create a consistent schedule that eliminates Stress, Push off the email, Prioritize Your Tasks, Get Rid of Any Distractions and Work Off the To Do List that you Created Last, the Day before.